Are you looking forward to building a website? Well, here’s the thing. Website development and design trends have been changing since, the inception of the graphical user interface (GUI). Nowadays, designers have become quite creative and analytical. They know that website design trend can change according to your industry, nature of business, target audience, etc. But, the ultimate aim to build a website has always been to attract and retain users. The continually changing website design trends have been revolving around these two points only. Web development services providers have to stay updated all the time to address their clients niche needs. And guess what? They know all the latest and most optimized trends in web development and design. All you (as a client) have to provide with various user personas that you wish to see in your website. A website is not only about great design. Customers might expect some features on your site. For example, if you are a product service provider or an online retailer, then Chatbot is a must on your website. Regardless of your industry, below are some of the trends that you must follow and also ask for before starting the development from web development services provider. Designers unleash their creativity by searching for trends. And they are perhaps, the first ones to identify the “trends” in web development. Finding trends is not difficult but, remembering them, categorizing them based on several and using them when a particular client comes to web development services provider to build a website is tough. 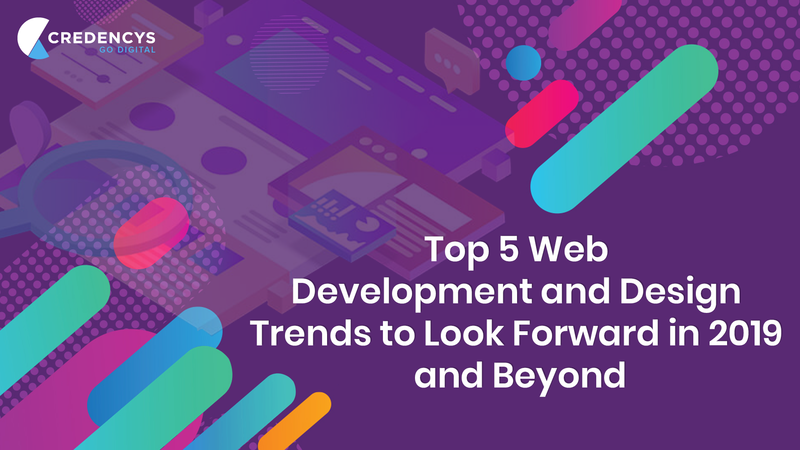 Let’s see what the top web design trends that’ll help you create stunning sites in 2019 are. According to some of the leading web development services providers, the 3D illustration will write the future of banner design. Custom 3D animations have immense potential to grab anyone’s attention. 3D illustrations will give your brand and website a new identity. It is one of the most upcoming trends as not many websites have implemented it. 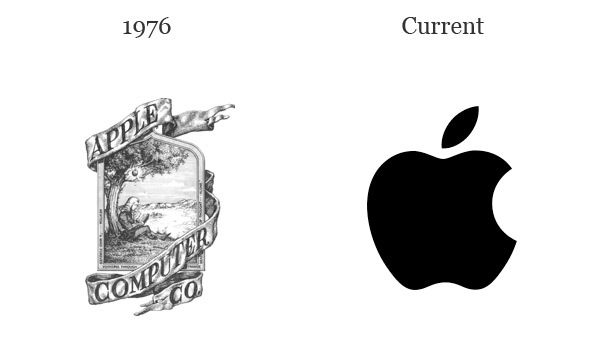 The brands are nowadays turning their old 3D logo into 2D and more minimalistic. For example, Google, Instagram, Apple Inc, Uber, Shell, etc. They are not only turning their 3D logo into 2D but also, Helvecticizing their brand name. Helvecticizing brand name will help your brand look much more serious than an old school font types. Creating a minimalistic website will increase the fluency of your message to your customers. For most of the brand names mentioned above, creating a minimalistic brand identity was a message to their customers that now, the company has attained maturity. Unconventional scrolling has become a huge trend. It delivers a unique user experience. Conventional scrolling offers a decent user experience but, unconventional scrolling like the one Apple created for its AirPods offer a surreal user experience that’ll last forever. It is a proven technique to grab the user’s attention to the website, which is why most of the web development services providers are consulting their client to go with unconventional scrolling. Gradients make your website look as if it is one single page. Gradient design is mostly preferred because it’s minimalistic, clean, and makes a site visitor read the entire page. 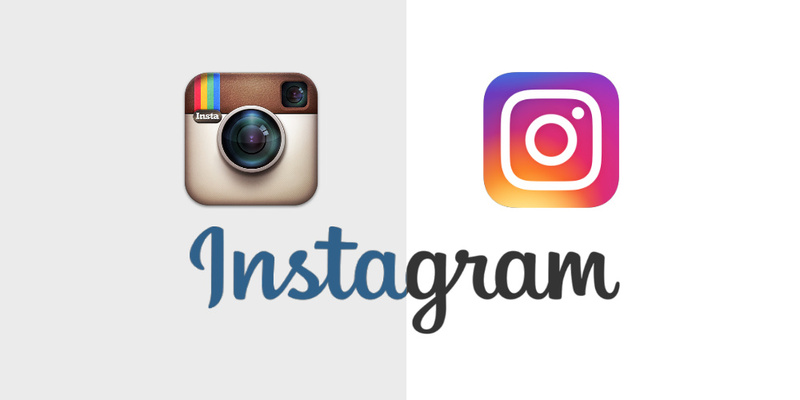 Gradients have gained popularity among developers and creative heads. 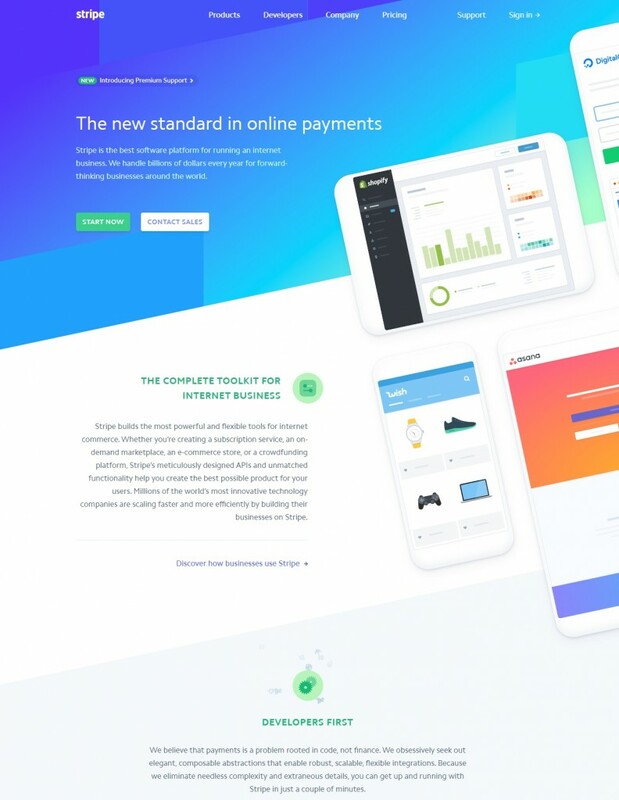 Below is a great example of using gradients in website design. Wanna grab attention? Make it larger. The same is true for websites. Web development services providers themselves use this formula. Large boldface letters are a great way to attract users and also are a great way to shoutout your message to the visitor faster. To make this technique more engaging you can play a contrasting video in the background. Boost your business outreach by creating visually stunning websites with an award-winning web development company. Although we pronounce web design and development together, both of them are entirely different things. Along with design, development is also equally responsible for making your website unique and appealing. Below are a few things to consider while building a site from a top web development services provider. Chatbots nowadays have become a must in a website. It doesn’t matter if you are a services provider, a retailer, a realtor, or a media and publishing company. Regardless of your service domain, a chatbot in your website will help you elevate user engagement to a great extent. Bringing automation in a site leveraging AI is the latest trend everyone should look forward to. Artificial Intelligence helps you to improve customer satisfaction and increase productivity. It also helps you to generate more qualified leads. One of the most critical elements of a website is its loading speed. According to Google, 53% of the visitors don’t open the site if the loading time is more than 3 seconds. Progressive web apps are a middleware of a website and an application. PWAs are typically used to mimic the effect of a native application. They help users to browse through the site even when the internet connection is poor. PWAs can be a huge contributor to maintain your brand image. Nowadays a lot of websites are implementing payment gateways to make monetary transactions. Well, blockchain is the future of financial transactions. It helps you to improve transparency and reduce financial business cost. With the increasing popularity of cryptocurrency, the importance of bitcoin development is also increasing. It is predicted that cryptocurrency is indeed the future of monetary transactions. Cyber Security nowadays has become an essential part of web app development. In this day and age where cyber attacks are prevailing, it is very crucial to build an impenetrable website. Once cybercriminals attack a site, it becomes vulnerable and prone to more cyber attacks. Your data is precious, and it should be protected with multiple layers of security. Being a leading web development services provider, we help you to protect your website from major cyber threats. Today, building a website is not a big task. Using website building platforms such as Wix, Weebly, etc. anyone can create a stunning website. But, it’ll lack that professional touch. With changing consumer behavior and trends in web app development, it has become very crucial to optimize your website and follow the directions mentioned above. Want your site to be secure, elegant, trendy, and exceptional? Hire Credencys, a professional and Agile web development services provider in the USA. Manish is both an innovator and inventor and is an expert in transforming abstract, ambiguous ideas into concise, executable strategies that mitigate risk, maximize ROI and obtain timely measurable business results. He has led several technical and non-technical projects and has experience of the complete project life cycle. He has the willingness, drive and belief that allow him to branch out into areas that may be fairly new to him as he has the ability to rapidly learn new things. This willingness had helped him to gain experience in several areas of an IT company like design & development, sales & marketing, team leadership, business development and expansion.